Sicari Plumbing provides water heater installation and repair to both commercial and residential customers. By choosing Sicari for your next job, you can save both time and money, with peace of mind knowing that you’re water heater is being treated by certified specialists. Gas or electric powered, tank or tankless, Sicari handles all types of water heaters no matter the size or make. 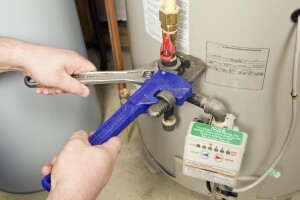 We are a proud authorized service representative for all major brands of water heaters. Tankless water heaters have a number of advantages over a traditional setup. They are ideal for large families or homes with a high demand for hot water because they are capable of heating water on demand. Instead of basing their capacity on gallons, tankless heaters rely on flow rate. Tankless water heaters also offer additional benefits of being energy efficient, having a space-saving design and a long-life expectancy – up to twice as long as a traditional tank. The technicians at Sicari have years of experience installing tankless water heaters. If you are unsatisfied with your existing water heater, call us today about installing a tankless model for your home. Hire Sicari Plumbing and restore your water heater to full working condition. Call us at 888-668-1995 or send us a message. We’ll be in touch soon.